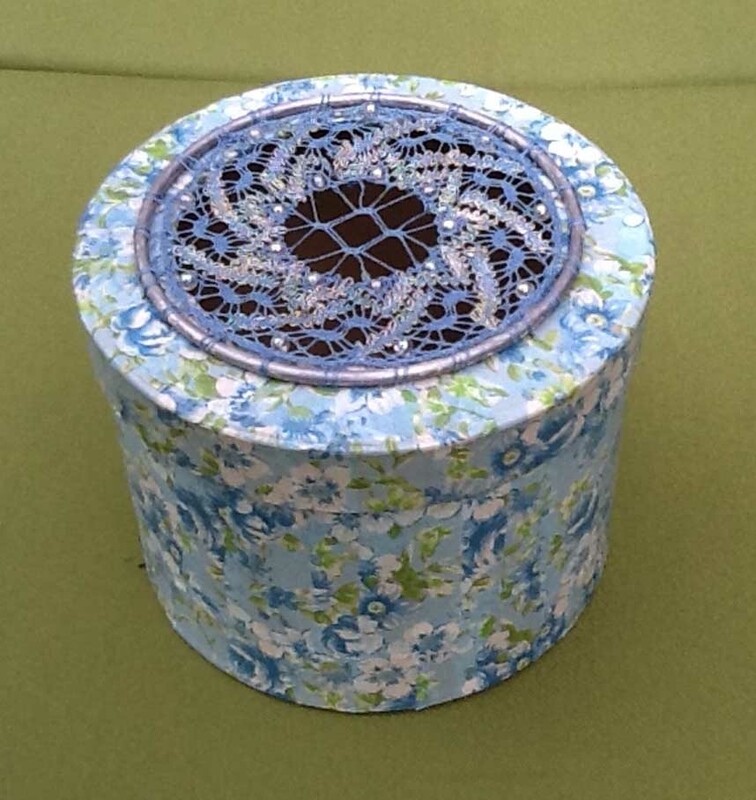 A beautiful pot using the Lace Dreams pattern and made by Norma. An amazing and creative use for a lace pattern. 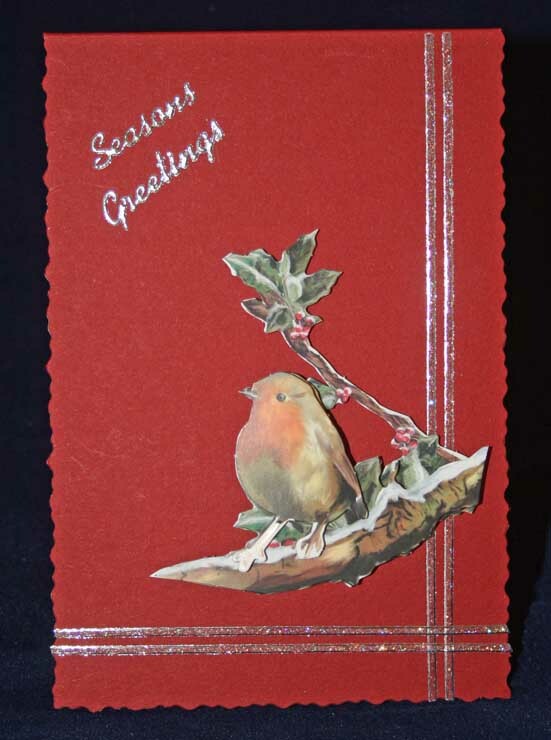 Very quick 3d decoupage card using die cut sheets and peel offs. 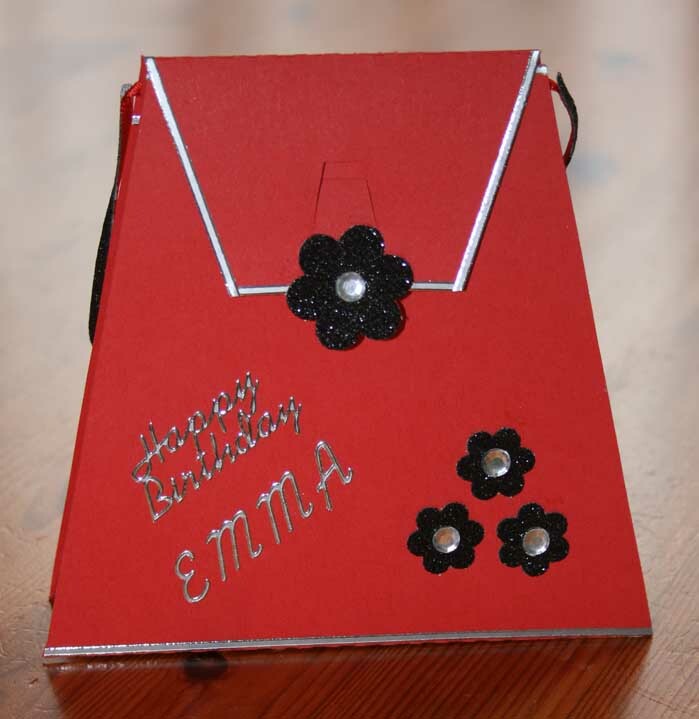 This stylish card is very simple to make. 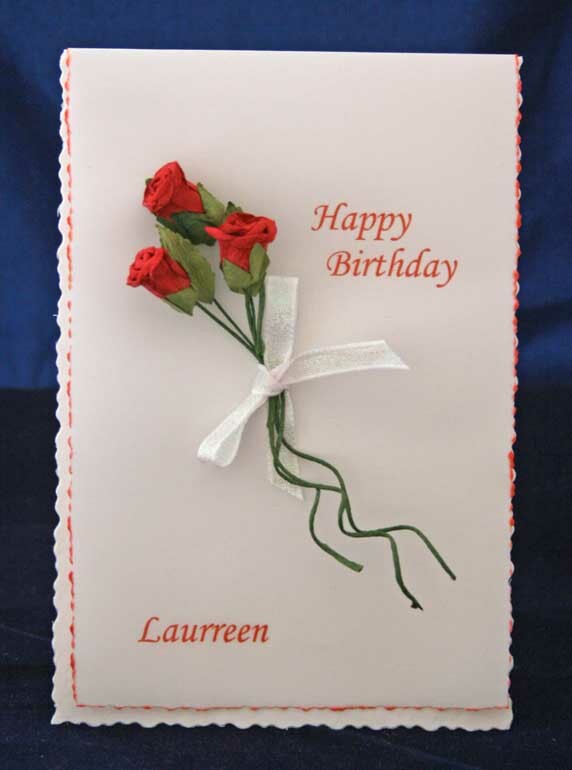 It needs Roses, 6" x 4" card, vellum, ribbon and glue. Uses handbag card kit, peel offs, black glitter fabric and gems. 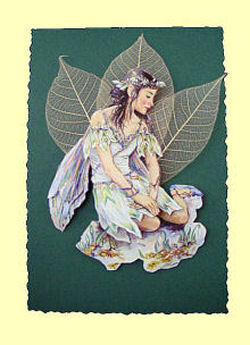 Fairy Poppet 3d decoupage card. Uses Fairy Poppet 3d decoupage sheet. 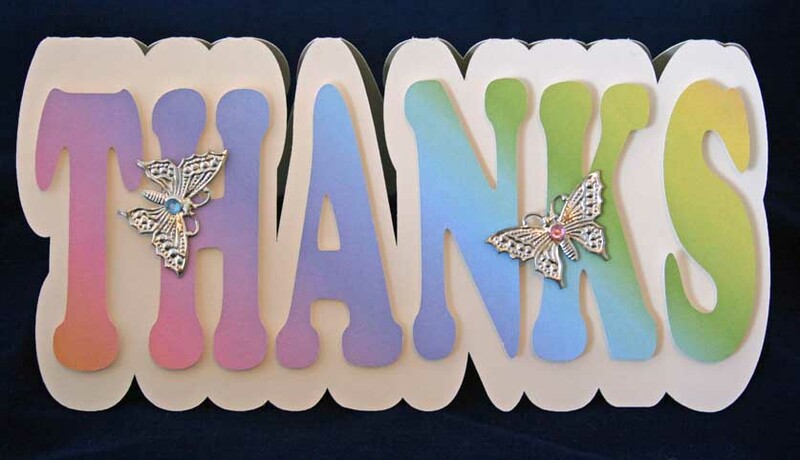 Made using Thanks card, and metal butterfly embellishments. 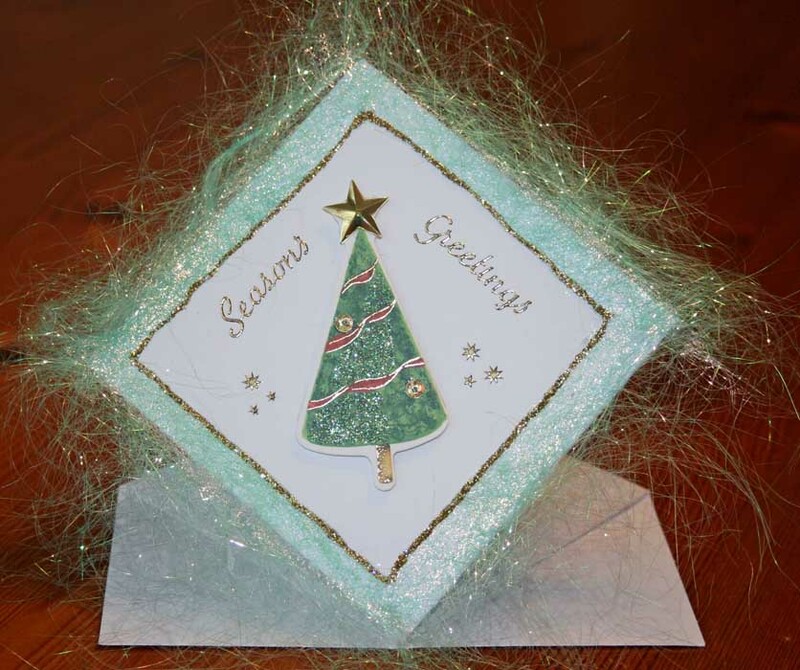 Made using Fantasy Fiber, Christmas embellishments, peel offs and jump cards.